KTMtwins.com KTM Motorcycle and Product News: KTM 690 Enduro/SMC High Flow Uni Filter. KTM 690 Enduro/SMC High Flow Uni Filter. 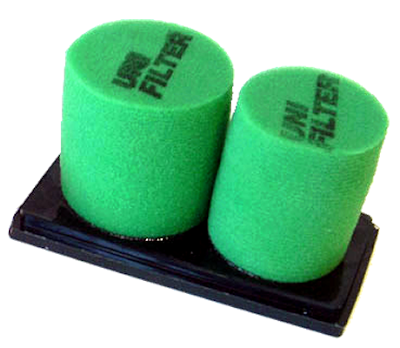 If you haven't already heard there is a new High Flow Uni-Filter available for your 690 Enduro/SMC. It is cleanable and reusable so there is no excuse with today's economy for you to keep buying the stock one over and over again. Pick one up today start riding. 690 Enduro Race Kit from Mecasystems! Best motorcycle gloves on the market!!! KTM 990 Super Duke Protection on Sale! Team Rally Panam 2009 Dakar photos! Perfect Suspension for your 690! T-Pro Shorts have your essentials protected! Klim F4 Helmet Price reduction. Get yours now! Sidi's Crossfire TA. When only the best will do!